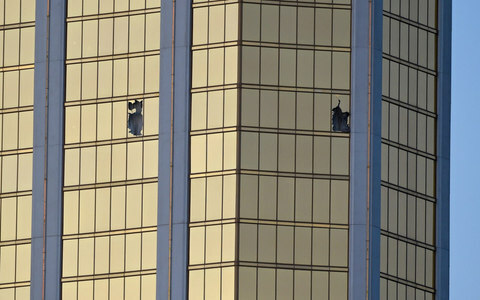 Arguing in against several media organizations who made the request, LVPD attorney Nicholas Crosby noted that because potential charges against other people could be in the works – releasing the warrants could taint their ongoing investigation, according to Fox News. Crosby’s revelation came as a surprise to most in the courtroom. It was the newest information in regards to the investigation that the public seems to have garnered unwittingly by Crosby when explaining to have the warrants remained sealed. Crosby did not say who would face charges. 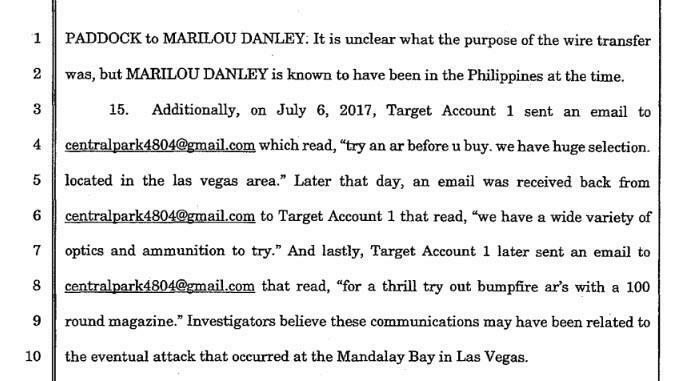 While the Las Vegas PD’s warrants were kept under seal for the time being, last week FBI search warrants were unsealed for Stephen Paddock and girlfriend Marilou Danley’s email accounts, which revealed Paddock engaging in a cryptic exchange with himself over various firearms used in the shooting. [H]yperconverged contender Maxta printed badges bearing the motto “You can’t have it your way with Nutanix” and stored them in private areas of its stand at the exhibition running alongside VMware’s conference. The company alleged that 200 of the badges were removed from the stand by parties unknown. 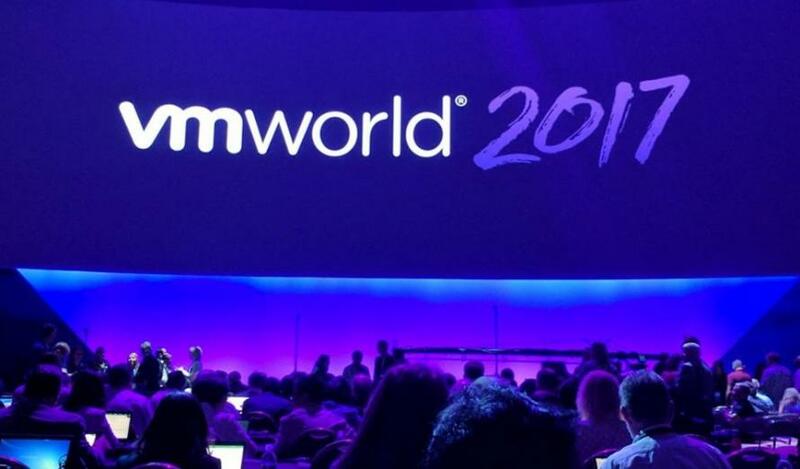 VMworld’s security firm was also told that security footage “is proprietary to Mandalay Bay” and cannot be viewed by third parties. 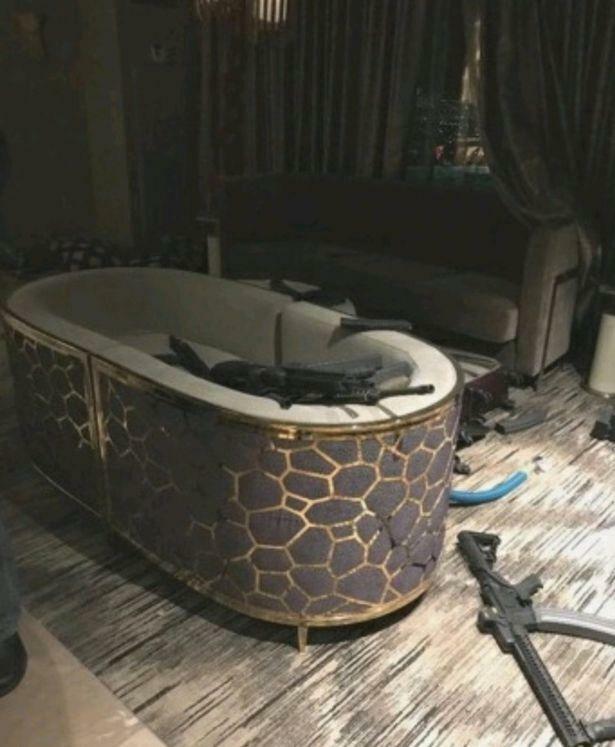 Upon searching Paddock’s Mesquite, NV home, police recovered approximately 18 firearms, more ammonia nitrate, several pounds of the explosive tannerite, several rounds of ammunition, and “electronic devices” – while a “large quantity of ammunition and multiple firearms” were recovered from Paddock’s Reno residence. 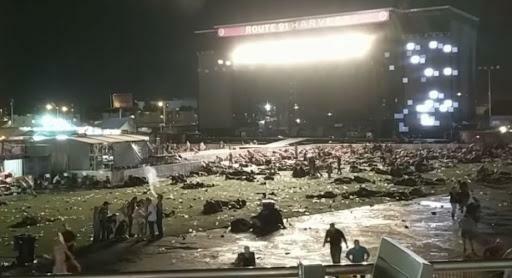 Apparently what happens in Vegas really does stay in Vegas – even when it comes to the deadliest mass shooting in modern U.S. history. In a move transparently designed to protect both the corrupt mainstream media and their deep state masters, Republican Sen. Jeff Flake is planning to deliver a speech Wednesday in which he will ludicrously compare President Donald Trump to Joseph Stalin. That’s right, a so-called conservative, who is in reality a globalist traitor, is set to compare the President of the United States to a mass murderer simply due to Trump’s rightful attacks on an establishment media that has openly declared war on him. “When a figure in power reflexively calls any press that doesn’t suit him ‘fake news,’ it is that person who should be the figure of suspicion, not the press,” Flake will say, according to multiple media outlets who had a draft of his speech leaked to them in anticipation. Keep in mind that it is an absolute FACT that 99% of the mainstream media is openly at war with the president each and every day. In return, Trump has rightfully labeled them the enemy of the people. The sheer amount of hypocrisy it takes to compare Donald Trump to Stalin due to his attacks on the deep state controlled media when these same media outlets are openly working against Trump’s EVERY move is truly unbelievable. In fact, the media watchdog group NewsBusters just released a new report that conclusively proves that the very media Flake is defending has straight up went to the war with the democratically elected president. The same media outlets Flake is supporting are the actual people attempting to overthrow American democracy. PUBLICLY! The first year of the Trump administration was as turbulent for the news media as it was for politics, with many journalists dropping any pretense of professionalism to become strident opponents of the President. 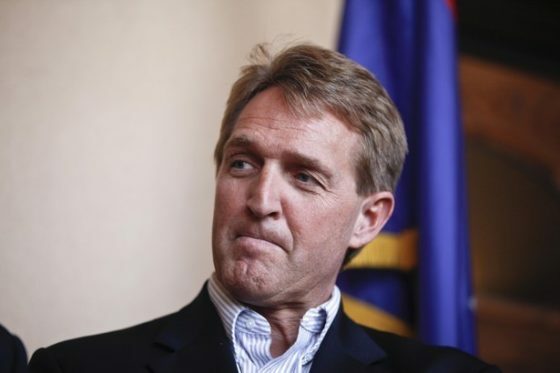 Amazingly, the fact that Flake is already openly working against a president from his own party is not good enough for the deep state puppets in the media who are now openly calling for Flake to literally drop his conservative principles altogether and straight up work with Democrats to obstruct Trump on the policy level. A piece in the admittedly anti-Trump liberal outlet Slate lays out a series of suggestions for Jeff Flake which reads like a literal list of deep state demands that stand in stark contrast to what the American people actually voted for. Take notice that it also demands specific protections for the deep state lackeys in the DOJ and the FBI itself! A small list of things they could demand, none of which are an affront to small-c conservative principles: a bill protecting Robert Mueller’s investigation; actual oversight of Trump’s business dealings and Emoluments Clause issues; a new look at the president’s power over nuclear weapons; promises from Trump to refrain from attacking ethnic and racial minorities and the media; promises from Trump to cease attacking the Justice Department’s integrity; ethics compliance among members of the executive branch; acceptance of 2016’s election results, and a promise to not try and restrict the franchise. Yes, you read that right. The mainstream media is now demanding that the president cease criticizing them completely, that he totally ignore the Clinton operatives within the federal government and in fact move to protect them, and that his power over nuclear weapons be stripped. Yet Trump and his supporters are ones that are similar to Joseph Stalin? Who in the hell does Jeff Flake think he is kidding? The Southern Poverty Law Center lists Ayaan Hirsi Ali — who grew up Muslim in Somalia and suffered female genital mutilation — as an “anti-Muslim extremist.” Just because she now speaks out against radical Islam. That listing led a man to go to the Council’s office to try to gun down their workers. The shooter later told law enforcement that he picked the group because he saw they were on the Southern Poverty Law Center’s hate map and he wanted to fight bigots. […]There are many non-hateful groups on the Southern Poverty Law Center’s hate list. But Antifa, which clearly is a hate group, is not on the list. The Southern Poverty Law Center wouldn’t talk to Stossel about their listings. 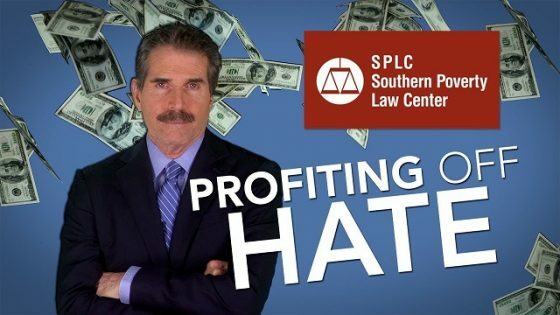 Stossel says screaming “hate!” brings in money. No doubt Stossel will be the next person added to their “hate list” due to his honest reporting. Half of the city’s police force has been suspended, including their police chief, amid allegations of official oppression and evidence tampering. Four people in the Llano Police Department, including Police Chief Kevin Ratliff, are now on paid suspension, Llano County District Attorney Sonny McAfee told KXAN. There are eight law enforcement officers employed by the Llano Police Department, according to the LPD’s website, meaning that half of the police force is now under suspension. Four police officers are under investigation by the Llano County District Attorney’s Office, including the police chief—who suspended himself—in connection to the arrest of a man, and his subsequent complaint, according to KVUE. The DA’s Office said that Chief Kevin Ratliff suspended himself with pay upon becoming aware of the investigation and that he will remain on suspension pending the outcome of the investigation. Must be nice to be able to give yourself a paid vacation just after potentially committing a crime while on the job—a luxury afforded only to police officers. Sgt. Jared Latta and Officer Aimee Shannon have been on paid suspension since Friday. Officer Grant Harden, who is also under investigation, in this case, has been suspended since December and was indicted for tampering with evidence and official oppression. However, officials could not confirm if Harden’s indictment is related to the citizen’s arrest cited in the investigation. 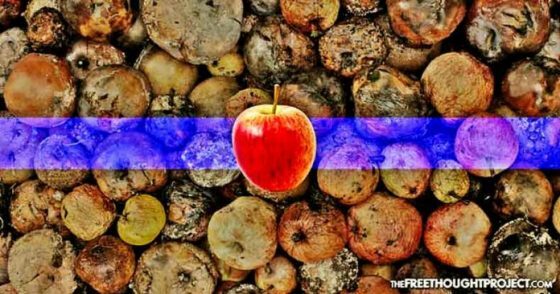 Those that forward the idea that the problem is simply a few bad apples, allow the systemic problems in law enforcement to continue without being addressed. While the suspension of half a police force may come as a surprise to some, it’s no surprise to The Free Thought Project, as we’ve reported on numerous similar incidents. 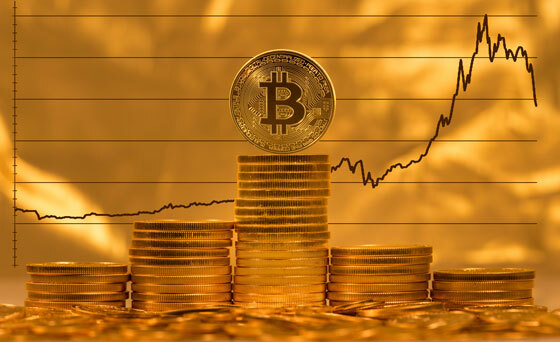 More recently, this past July, the entire drug unit of the Troy, New York, Police Department was suspendedfollowing reports that the unit entered a home without a warrant – then tried to cover their tracks by filing false burglary reports. Contributed by Jay Syrmopoulos of thefreethoughtproject.com. 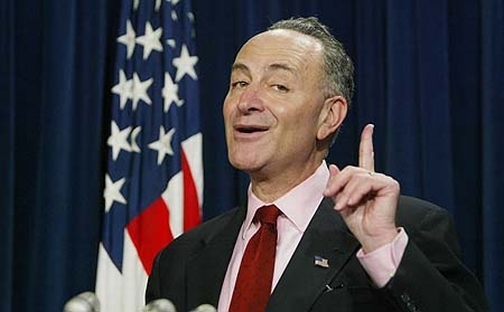 Senator Chuck Schumer issued a “challenge” for Donald Trump on Stephen Colbert’s “Late Show” Monday night: prove you’re not “racist” by supporting the leftist Graham-Durbin DACA amnesty bill. Schumer said Trump’s comments “over and over and over again can be described as nothing but racist and obnoxious. He says he’s not a racist. Well, … I have a challenge for Donald Trump. “Do what we say or we will call you racist” is literally the only argument the left has had for at least three decades now. It’s no longer working. Right there, isn’t that a threat? Isn’t it open harassment? Doesn’t it imply the desire to murder a woman who has not physically attacked anyone in that group? Any sane, normal person would think so. Upon discovery of the group, Johnston immediately reported it to Facebook. She also encouraged her followers to flag it, as well. 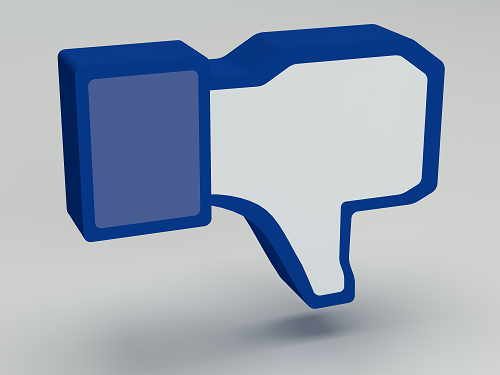 After reporting the group to Facebook, Johnston said that she was shocked at the reply she received and posted it on her Facebook page. 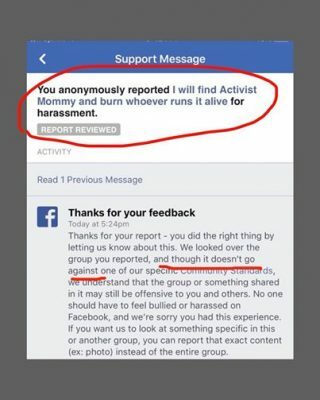 They then added that she could send them the exact content of what was the problem, as if the name of the group was not a clear violation of their community standards. LifeSite News added that apparently there was a change made to the name of the group. Again, that’s definitely harassment and bullying for sure. If only Facebook were as serious about revealing the truth as they are about aiding the criminally-minded and mentally ill people in society. The commanding officers for two American warships crippled in fatal accidents are facing military criminal charges ranging from negligent homicide to dereliction of duty. The Arleigh Burke-class guided-missile destroyer USS Fitzgerald was involved in a tragic collision with a merchant vessel in June that ended the lives of seven American sailors. 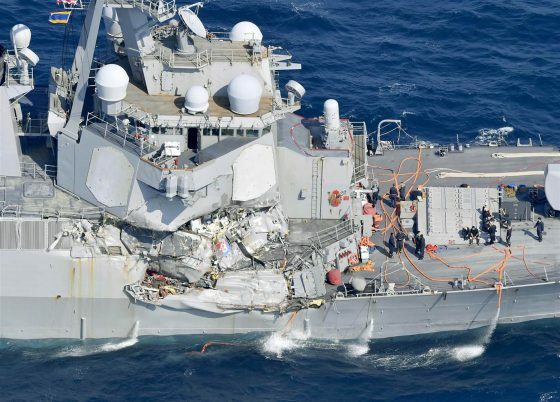 Two months later, ten more sailors were killed when the Arleigh Burke-class guided-missile destroyer USS John S. McCain collided with a tanker. The two 7th Fleet vessels will require hundreds of millions of dollars for repairs. Cmdr. Bryce Benson, the former commander of the Fitzgerald, together with three junior officers, face military criminal charges including dereliction of duty, hazarding a vessel and negligent homicide. Cmdr. Jessie L. Sanchez, former commander of the McCain, faces the same charges, according to USNI News. The charges come after a comprehensive investigation into the cause of these deadly accidents. Numerous Navy officers, including the former head of the 7th Fleet, have been removed from their commands due to concerns over their leadership abilities. Adm. John Richardson, the chief of naval operations, concluded that the accidents were “avoidable” byproducts of devastating command and training failures on the part of both officers and crew. Contributed by Ryan Pickrell of The Daily Caller News Foundation. 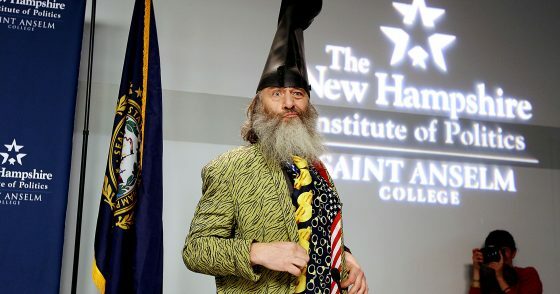 Making politically incorrect waves in all ways possible, activist Vermin Supreme is suing the city of Concord, New Hampshire. The country’s favorite pony-loving politician was not allowed to bring two ponies to protest Hillary Clinton’s book signing, which he says violated his first amendment rights. “Mr. Supreme’s message will be lost if he is not able to protest Hillary Clinton outside near the book signing,” the complaint reads. According to the complaint, Supreme had one of his political organizers, Keith Yergeau, contact Concord on his behalf to find out what he would need to do to carry out his protest. Yergeau was directed to Concord’s health and licensing officer Eugene Blake, who allegedly told him while there were no restrictions on having ponies outside of Gibson’s, the Concord Police Department had instructed him to deny the pony permit. Supreme, of Massachusetts, who characterizes himself as a political activist, has run for various political offices, including the presidential office, in the United States since the 1980s. He is known for wearing a boot as a hat, and his platform has historically included mandatory toothbrushing and a pony for every American. Most recently, Supreme ran as a Libertarian in the 2016 presidential general election. Supreme is asking that the court grant an injunction that would allow him to carry out his protest, as well as reimbursement for his legal fees, and any damages that would be awarded during the trial. He is requesting a jury trial. Defendants in the case include the City of Concord, Concord police Chief Bradley Osgood, Blake and several miscellaneous Concord municipal employees. A Las Vegas homeless man is being hailed a hero by firefighters for fearlessly saving the lives of two children. Anival Angulo selflessly put his own life in peril and pulled both kids out of the home safely. Fire officials say that the children were trapped in a burning apartment Friday morning. It all started when the grandfather of the 3-year-old girl and 10-month-old boy was cooking. The stove suddenly caught fire, and the older man was able to get out the back bedroom but was unable to grab the children. Luckily, Angulo was just walking by the home. 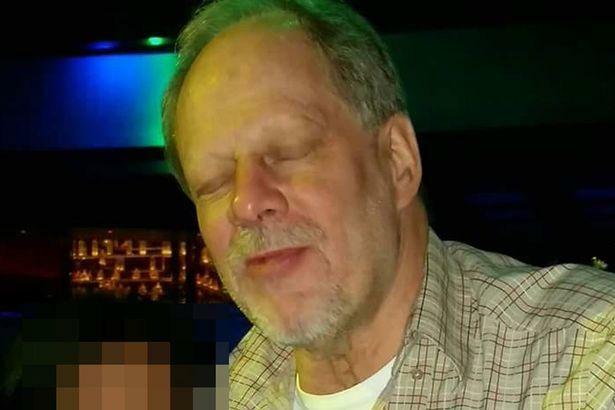 Las Vegas Fire and Rescue spokesman Tim Szymanski said that the children could have been burned or killed if Angulo had not been there. The children were treated at a hospital for smoke inhalation. Authorities estimated $50,000 in damages were done to the home. 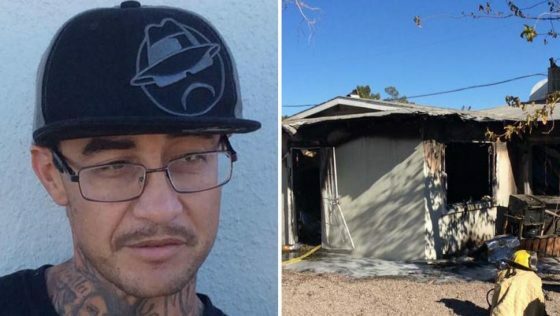 Angulo said he saw the smoke coming from the East Valley home on East Mesquite Avenue and he decided to go around the building to find the source at about 11:30 a.m. Friday, Las Vegas Fire & Rescue said. That’s when Angulo heard the children crying. “I knew I had to get them out,” Angulo told KSNV-TV. 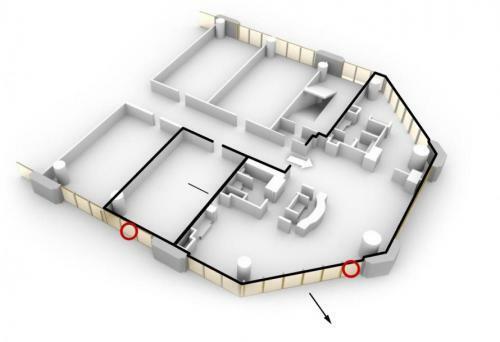 Angulo jumped a locked gate to get into the complex and rushed to a security door, from which he could see a little girl trapped in a smoke-filled apartment, authorities said. The young child was unable to get the steel door open, so Angulo began pulling on it until it bent upward and the deadbolt lock unlatched. Once inside, Angulo grabbed the 3-year-old girl and a 10-month-old boy and rushed them to safety. “I wrapped up the babies and pulled them out,” Angulo told the television station. The little girl told fire investigators the fire grew quickly and caused a lot of smoke, which made her scared, officials said. But thanks to the help from Angulo, both children are safe and sound.